Poker tells are the habits, behaviors and physical actions of your opponents in a poker game that will give you insight into their likely holdings. Being able to pick up on some of these tells will give you a huge advantage when playing poker, particularity if you are playing in a live poker game. #2 How does he/she act before joining the table? #3 How does your opponent dress? #4 Does your opponent talk poker strategy? #5 Is their chip stack organised? #6 How do they handle their chips? #8 Does your opponent protect his hole cards? #15 How does he react to chat? Studying poker tells is effectively studying body language. One of the key principles of studying body language is you have to establish a baseline. For example, if you were part of the FBI interrogating a murder suspect you wouldn’t assume the suspect committed the crime because he is nervous: of course he is nervous, he is suspected of committing murder; wouldn’t you be nervous? The same can be applied to studying poker players. 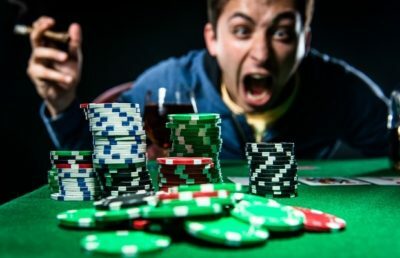 If there is a particularly nervous player at the table, you wouldn’t say he is bluffing because he spilt his chips while betting – he probably always does that. On the other hand, if a typically flamboyant player suddenly stops talking and looks nervous when making a bet, this may be an indication that he is giving away a tell. So, you have to find a baseline (for example nervous or confident) and then see if there is any deviation from that baseline. No conclusions can be drawn from a single expression, emotion or movement. It always has to be in context. In addition, a tell shouldn’t be overly weighted – a tell should adjust your decision not make your decision completely. 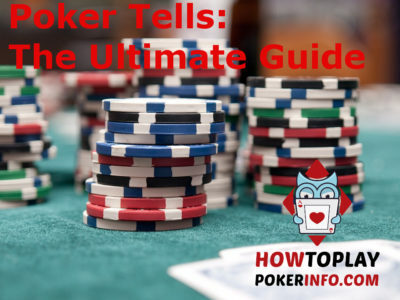 So with that said here is a poker tells list with some of the most common tells you will come across at the poker table. Watch how much players buy into your game for (applicable for either online or live). Players who buy in for less than the full amount (less than 100bb) in a cash game are typically not going to be strong players (there are exceptions of course). This applied to both online and live play but is especially reliable online as it indicates the player doesn’t often play in these particular games or doesn’t have a bankroll. The only caveat is that the player may be playing a short stack strategy although this is becoming less and less common nowadays. Are they loud, full of energy and aggressive or is he quiet, passive and keeps to himself? The way he acts off the table will correlate quite well with how he acts on the table. Be prepared to call down some of the louder folk with weaker holdings (as they are more likely to be bluffing) and keep folding the medium strength hands to the quieter players. A conservative approach to dressing often means a conservative style of poker. Whereas if you see a young player with a hoody, sunglasses and headphones, don’t expect to be able to run him over. They are usually from the online world and know how to fight back (betting strategy). Players who talk strategy on the table (not advised) are typically inexperienced. Experienced players know not to give away anything about how they play. You can also use this precious information he is giving away while rambling to your advantage. A careful, well-thought opponent, will typically have a well-organised stack. If your opponent is has a sloppy disorganized stack he will likely be loose and sloppy with his betting and calling. Take advantage of these opponents by calling down with weaker hands and by value betting thinner than usual. Following on from the last tell, can they do chip tricks or even have their chip stack modelled into sculptures? These aren’t the typical fish you can take crush – they are most likely the shark and you and you are their bait. Beware of the chip sculptures! They are probably trying to throw you off: acting weak means strength. To think of it another way: if they were bluffing they would be paying very close attention trying to pick up on any hints you have a strong hand (i.e. are you likely to call). Does he do this with only strong hands he intends to play or both strong hand weak hands? Some players only place their card protector on hands they intend to enter a hand. So if you see a player seated to your left who only protects their strong hand, look left and see where his protector is placed before you enter the pot. When your opponent sighs, tuts or makes a sound like he is deliberating a decision, he is most likely acting. He likely has a strong hand and wants you to call or bet. But you have to make the decision whether he is doing it deliberately or subconsciously. 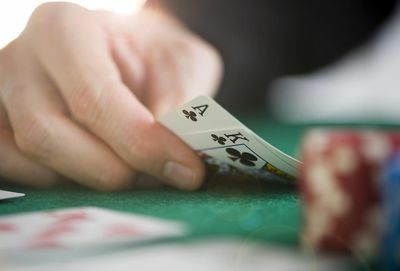 If he is tutting or sighing subconsciously it could be a sign of weakness but this is unlikely as players are often aware of the impression they are giving off on the poker table. This would indicate a release of tension and that they have the hand ‘locked up’. I.e. they don’t think they can lose this one. Be very careful of anyone who suddenly becomes to be comfortable in a big pot. However, make sure you take this poker tell in context of the board texture – could the card have improved your opponent’s hand? When a player looks at his chips or their opponents when his hole cards/flop/turn/river have been dealt you should read that as a sign of strength. I personally used this one very successfully/unsuccessfully recently when playing live in Vegas. I was playing 1/2 nl at the MGM and a passive player who I didn’t have very much information on limped preflop followed by 2 others. I looked down at 85o in the big blind so checked behind to see a 852 flop with around $8 in the pot. I checked around intending to check-raise my opponent (I should have bet in retrospect) who obliged with a $5 bet which I raised to $18 – I immediately noticed he looked straight to my chip stack so took that as a major sign of strength. All other opponents folded and he shipped over $300 into the pot instantly. I deliberated for 2-3 minutes before folding top 2 pair assuming he had me beat with a set. There are only 5 combos of sets which is why I had to think for so long. He turned over AA after I folded so I was completely right, he was not bluffing. He thought he was value raising with his AA! The takeaway: even though I likely would have taken down a huge pot if I had of called, my read was right. He believed he had a really strong hand and was going to win all of my chips. It’s just too bad that he didn’t understand hand values!! Hence when being dealt your hole cards/the flop/turn/river is being dealt, do not look at the cards – look at the players and see their reaction. This is a very reliable tell which I have used on many occasions to good success. 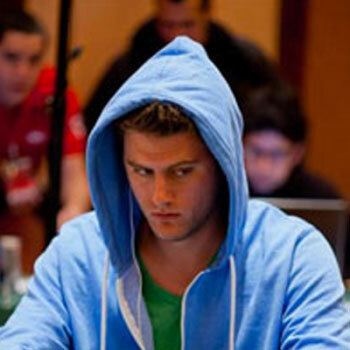 If your opponent passively puts chips into the pot he/she is trying not to intimidate you. Weak means strong. Strong means weak. This can mean that he has a strong hand and they can’t hide their excitement. You cannot control your pupil dilation and hence this is quite a reliable tell. This poker tell will take some training to really get right, but worth the effort. means your opponent is now interested in the hand and therefore likely has a strong hand. This is especially useful if the board texture has changed drastically on the last card. For example, a straight draw, or flush just filled up. This tell should also be carefully taken in context. Players with a strong hand have an easier time answering questions and talking. They are confident they are going to win the pot. A player with a weak hand would be afraid of giving away information about the weak holding. Newer players want to show that their friends that they are a skilled card player and are likely to win the hand (basically showing off) – hence sharing the good experience with their friend. If they aren’t sure they will win the hand when bluffing they won’t want to show just in case it doesn’t come off and they look like a fool. Note: showing cards to your friends is typically not allowed outside of home games. “I will show you if you call” – usually indicates strength. However, this can easily be used as a reverse tell so be careful with this one against tricky opponents. Shaky hands mean he is bluffing, right? Wrong! Trembling hands are often caused by a release of stress rather than stress its self – so an opponent who is trembling probably has a big hand and has the pot locked up. Be wary of trembling hands. A player’s tension won’t be released until after the hand when bluffing. Some poker players could be nominated for an Oscar with the show they sometimes put out when feigning a ‘difficult decision’. Often they are facing a bet on the turn or river, only to raise your bet. This is a transparent trick so don’t fall for it. The only decision a player would have to make in that case would be how much to raise (poker players don’t raise thin enough, they want to get to showdown). You would be pushed to find many card players who would deliberate for that long on how much to raise, even in their most thoughtful state. This player always wants to make sure that he has a good hand before betting to see the flop. He doesn’t like betting on draws and him almost never bluffs. He doesn’t like taking chances and only bets big when he has a monster. If you are heading up and this player bets aggressively, it is very likely that he has a very good hand. It would be best for you to fold against him unless you’re also holding close to the nuts of course. 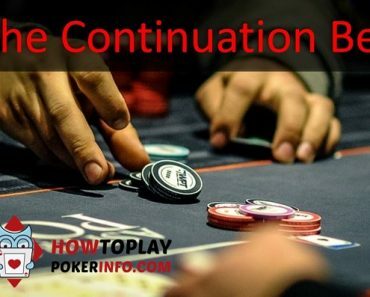 Has your opponent been folding hand after hand for the last few rounds, only to now raise? Look how he reacts when people fold or call. Players can sometimes show signs of anger and frustration that the people in front of him are folding to his raise. Beware! He has a strong hand. A check raise is a good indication of a strong hand unless the opponent is quite skilled. Most players never check-raise as a bluff and hence it is only ever a really strong hand. This is one of the most reliable poker tells in live poker situations as a live poker check raise (at low stakes) is usually weighted heavily towards value. This is the reverse of the putting the chips in weakly. 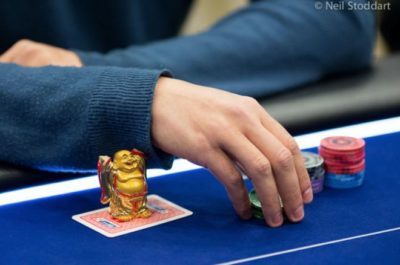 It is likely that your opponent is trying to intimidate you, however, before drawing any conclusions you should know does he always put chips in the pot in this way? Often means they didn’t connect very well. They are searching for a way that they can win the hand, either through a backdoor draw or by bluffing. This typically will happen when the flop is dealt. Asking for a chip count is again an intimidating move. This is especially true when there are still many streets and a lot of chips left behind. Your opponent is basically threatening to put all your chips at stake which will make you more likely to fold to his bets. There will be some cases where a chip count is required, however, so take that into account. This is a big online poker tell. It is a show of weakness if an online poker player is always in the chat box. An experienced poker player will be too focused on the game to worry about chatting, especially because experienced players will be playing more than one table. There isn’t much to glean from this one when playing live, unless the opponent suddenly becomes very chatty or very quite in compared to his usual demeanour – be on your toes if sudden changes in chattiness levels occur. 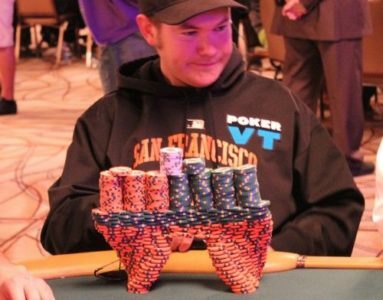 Some players may find it hard to resist the urge to peek at their cards a second time after they have looked at them and placed a bet. This could tell you that this player has the potential of making a straight draw and is checking to see if one of the cards laid in the flop matches one of the cards in his hand. Sometimes this is because the player only remembers the suits of the cards and not the number. However, it is something you should be aware of when betting against this player. When playing live, try to memorise your cards at the beginning of the hand like the pros. If this is a subtle cue then it could be true and reveals discontent with their hands. If it’s over-exaggerated and obvious it is most likely a reverse tell and indicates strength. Freezing indicates they are afraid to give away any information and are worried you might call. Do not confuse with someone who is comfortable but remains still and quiet. Counter a real smile in the previous section, a fake smile is forced and is revealed by a lack of participation of the eyes in the expression. 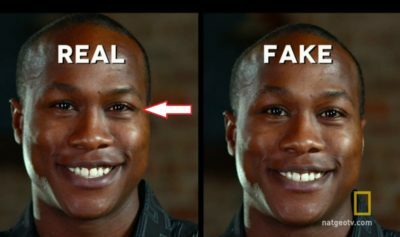 Be wary that the play just isn’t trying to be friendly by fake smiling at a bad conversation or joke. These are mechanisms we all use to some extent to pacify ourselves in stressful situations. Playing with Jewellery is also applicable here. How would you treat your cards if there were two aces lying there preflop? Take that into account the next time you see a player being sloppy with hole cards. This is defensive body language and indicates that the player is not comfortable hence potentially has a weak hand. Take this in context – is the player naturally introverted and always sits in a closed body position, or just in this hand? This does not necessarily mean he has a weak hand but it means he at least doesn’t have a very strong hand. If your opponent had a very strong hand, wouldn’t he consider raising? You can take advantage of this by overbetting the size of the pot. Overbetting against capped ranges is one of my favourite strategies to use on the table! If he had a strong hand he wouldn’t want to draw attention to his hole cards by staring too long. This again is closed body language which indicates they are trying to hide something (i.e they are lying) and could be weak when betting. Click here to find out more information on hand-face gestures and their meaning. Limping is a very strong tell that the player is weak. Limping is a poor poker strategy that is adopted by almost all novice players. If you see a player limping you know they are a weak player and can hence target them on the table. Learn more about why limping is bad with our texas holdem strategy guide. The maniacs play the game with a do-or-die approach, going in with every hand. This takes place, in most cases, when the tournament is just beginning. It is very easy to put them to a stop because they are quite easy to spot. To do that, just wait for a hand that is good and then give a call to their all-in. Gawping at another player with a clear outward appearance is frequently exceptionally off-putting for the other player. If you see a player taking a gander at you, they might be attempting to intimidate you to give you the impression their hand is much stronger than it really is! Okay, this is more of a tendency than a tell, but it still useful. This player always wants to see the flop, no matter what kind of hand he has. 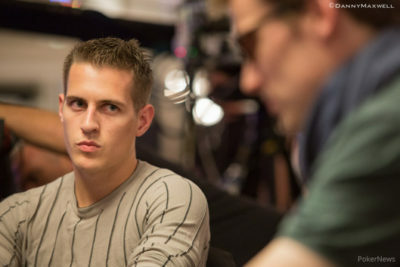 He will call or limp infrequently to try and see if he can improve his bad hand on the flop – he is a pretty bad player and is likely to play fit or fold. This type of player lacks caution and experience and can be very easily taken advantage of by a talented opponent. Exploit him by raising him a lot preflop and cbetting the flop and turn regularly. Do they bet small with weak hands and large with strong hands or vice versa? 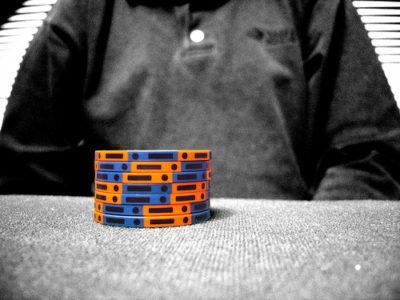 Some players believe they need to bet large with weak hands to maximise value, while small with bluff to minimise risk. While others want to maximise the probability a player will fold with a large bet when bluffing and induce a call with small bets when value betting. 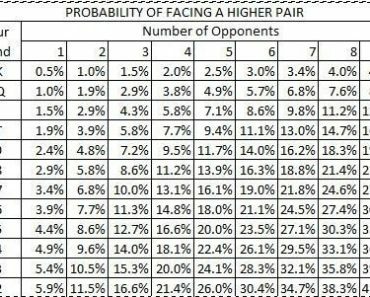 Figure out what their bet sizing strategy is and use to your advantage. When you become observant of the players at the table with you, you will start to notice whether or not there are patterns to their betting. Being aware of this will also help you avoid displaying a pattern in your betting that others can pick up on. Take note of a player who always checks when he/she has made the nuts or one that always folds when you re-raise. These signs will help you overcome the odds and become the winner in such a hand. This is a tell that is very common with online poker. It is a quick sign that the player is not experienced, he is not an expert if he is slow at responding to the opponent’s moves. On the other hand, a pro will usually know what he will do before you even bet! So if you come up against a player who responds very slowly, take note and try to play more pots with him. The final piece of advise I will give is to check to see how many tables your opponent is playing (online). You can usually use the search feature in your poker room which will tell you how many tables and what stakes he is playing. If your opponent has the search feature blocked (which is just a setting you can change), you know he at least isn’t the biggest fish in the poker room and knows something about poker! That’s it for the list of the top poker tells. They should help you improve your poker game and take down more money at the tables. 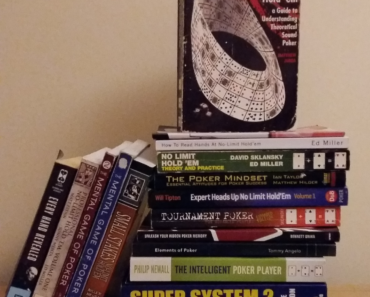 I would recommend reading Zachary Elwood’s tells poker book: Reading Poker Tells – you can find out more about that book here. But if you want to take your game to the next level you might be interested in poker training and the list of the top training sites and poker courses on the market to go along with these poker tells.